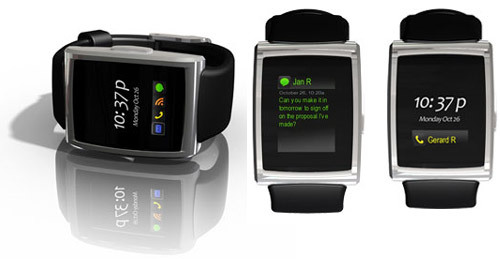 What would u do with a smartwatch? Ben. Once upon a time the inPulse was a BlackBerry peripheral, but no more -- now, it's a fully programmable device-agnostic Bluetooth wrist computer. That's because its manufacturer Allerta released an SDK this week, which lets the 52Mhz ARM7 processor and 8Kb of RAM within display whatever you'd like on the 1.3-inch, 96 x 128 pixel screen. Like the time of day... or this tiny, practically unplayable 3D game. Yours for $149. Update: Sounds like reports of the demise of BlackBerry support for InPulse were greatly exaggerated! The new developer support for the device is very much as described above, but the company assures us that Blackberry connectivity is still a huge part of inPulse, and that the Blackberry Main App is currently available from the company. inPulse smartwatch turns programmable, and it can almost play Doom (video) (update) originally appeared on Engadget on Fri, 18 Feb 2011 13:33:00 EDT. Please see our terms for use of feeds.